I have never really understood why relative inflation is a problem in this situation. If inflation is kept at 2% by central bank intervention, this will raise ‘other sector’ prices, but it will also raise prices in the service sector, relative to the counterfactual. I don’t see why keeping inflation at 2% would lead to the other sectors making up a greater proportion of the general price level than in the counterfactual scenario. I have a question. 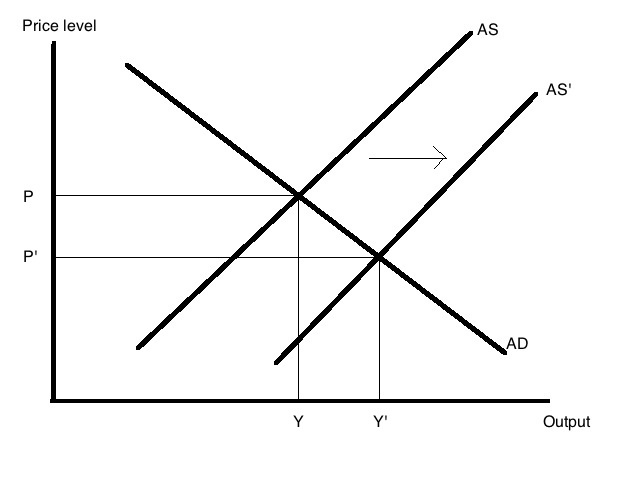 You show how the increase in the workforce causes prices to fall under NGDPT. This would include the price of labor. If wages (and other prices) are sticky would this not itself cause frictions in this scenario ? In a situation were the workforce is growing would you recommend that this be factored in to the NGDPT target ? Regarding sticky wages that is a argument that you should target for example 5% NGDP growth rather than for example 0%. In terms of correcting for the development in the labour force I certainly think that there is an argument to be made that the central bank should target NGDP/capita. British housing supply is highly constrained by regulation. Hence any positive demand shock (such as all those Poles wanting somewhere to live) drives up rents and prices. But the problem is the highly restrictive land regulation, which naturally creates price surges. It is a bizarre argument. I personally prefer NGDPLT to inflation targeting, but this argument a little bit puzzled me. Since inflation targeting policy is forward-looking, the Bank of England will not conduct an expansionary monetary policy to correct the deflation that has already occurred. Therefore, the price level will stay as it is after the given positive AS shock occurs. Of course, the Bank of England may conduct expansionary monetary policy if it expects a deflation. Still, I’m not sure why its inflationary effect will cause relative price changes. In the given argument, as service sector price falls, relative prices of other sectors fall and deflation occurs. Then, to correct deflation, the BOE pushes money into the economy. As a result, nominal income goes up (actual observation shows real income goes up too, but do not touch that issue.) Service sector prices will rise as proportionately as other sector prices rise. 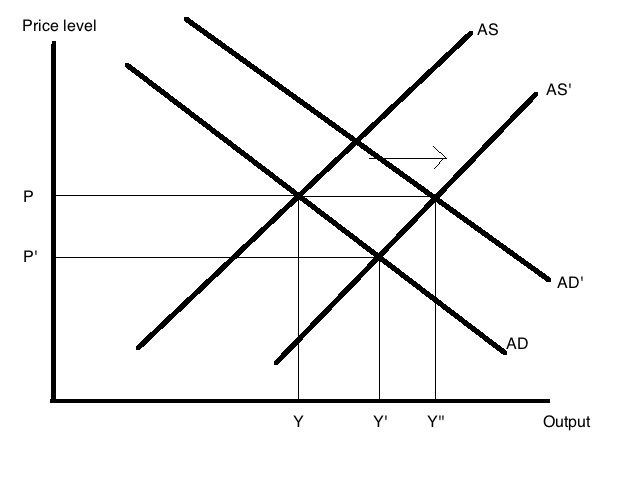 Then, if other things stays the same, the price ratio of service sector goods to other goods will not change. Am I wrong? Re: Baumol effect and services. Part of the problem with services now is a sort of Nash Equilibrium “rat race” between services and the construction based wealth that local communities seek to create through ever more stringent zoning and regulation. This newer dynamic has taken off as the older dynamic of cost push inflation has decreased in the unions associated with manufacturing. NGDPLT can greatly assist in pointing out the imbalances of any such dynamics. sorry I didn’t fully expain myself. That is my rationale for setting technology, robots, mass manufacture, economies of scale, 3D printing with recyclables or whatever it takes – loose on the building and construction industries.